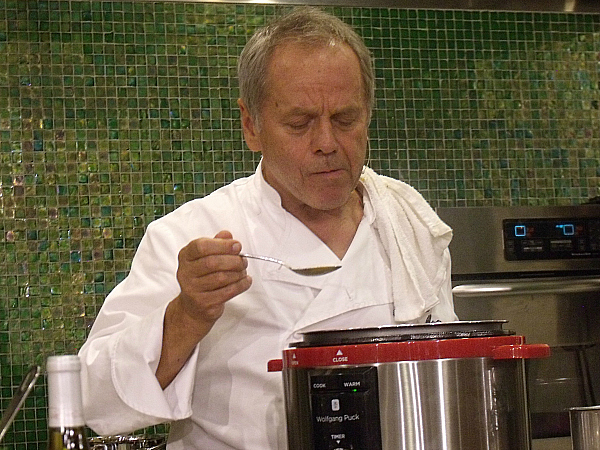 Yes, this is Wolfgang Puck. 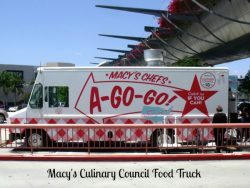 This Macy’s Culinary Council event was at my local Macy’s at South Coast Plaza in Orange County. 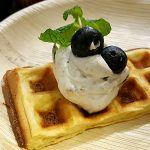 It’s the Culinary Council’s 10th Anniversary and this was a great way to celebrate. It was an absolutely wonderful treat! 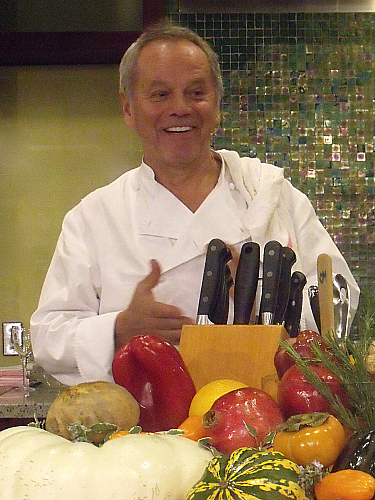 He is charming, humorous, personable and, of course, an amazing chef. Macy’s is not just for shopping. They often have special events in the stores. In the last year I’ve been to fashion shows, a concert, cooking classes and even met a professional snow boarder. There is always something going on at Macy’s. You can check their online schedule to see what’s coming up at your local store. Some of the free events require an RSVP to get a seat. For others you can just drop by and join in. The cooking demonstration was very informative. 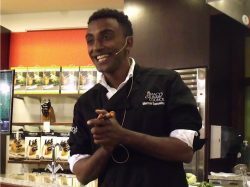 He showed us how to make several different dishes that involved a variety of techniques. He had recipes to follow, which is important if you’re cooking for a restaurant, but he’s also very flexible and creative with his cooking. We learned basic skills and also learned how to personalize our meals to suit our own taste. When you understand the basics, there is always room to change things up. 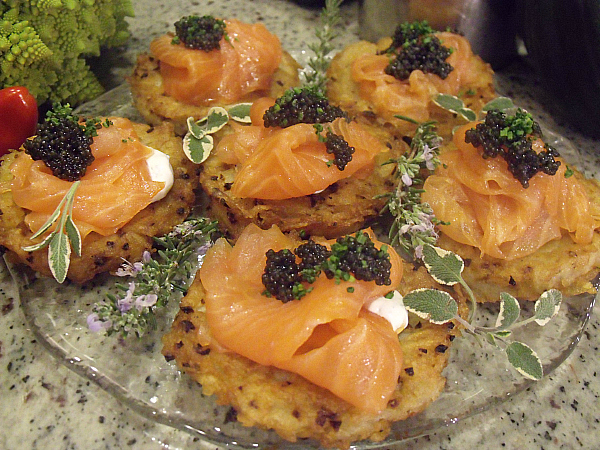 This is the Crispy Potato Galette With Dill Cream, Smoked Salmon and Caviar. 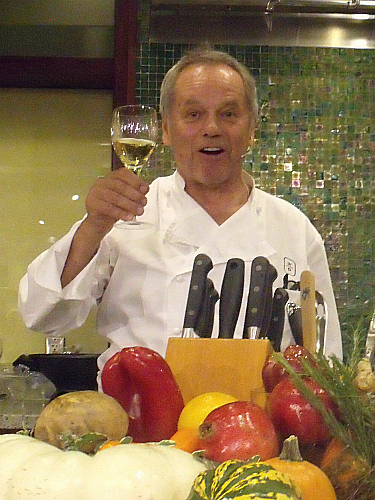 In this photo, Wolfgang is telling us about the single most important tool in the kitchen. Is it the spoon? The pressure cooker? No. The most important tool that a chef has is his palate. Just following directions is not enough. 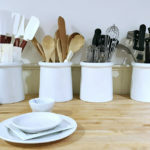 A chef or home cook should always taste the food and make adjustments as needed. 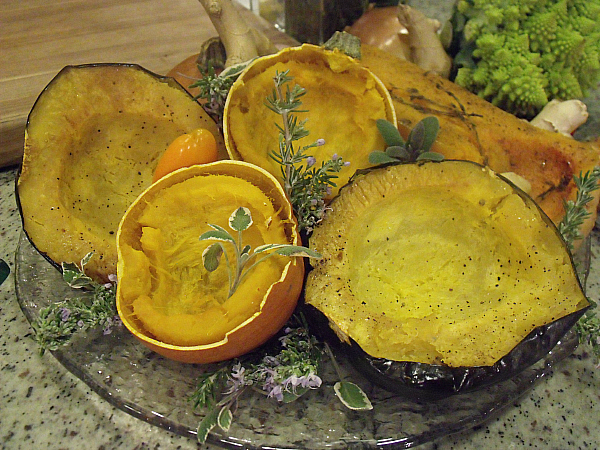 We also learned how to make Roasted Winter Squash Soup. The squash can be roasted ahead of time and then made into soup or you can start with raw squash. He made the soup in the electric pressure cooker. It cooks it quickly and all of the fresh flavors remain inside the cooker. 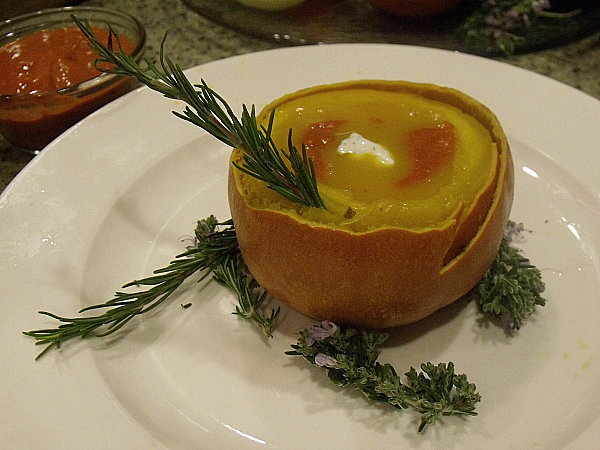 For an impressive presentation, you can serve the soup right inside a roasted squash or mini pumpkin. 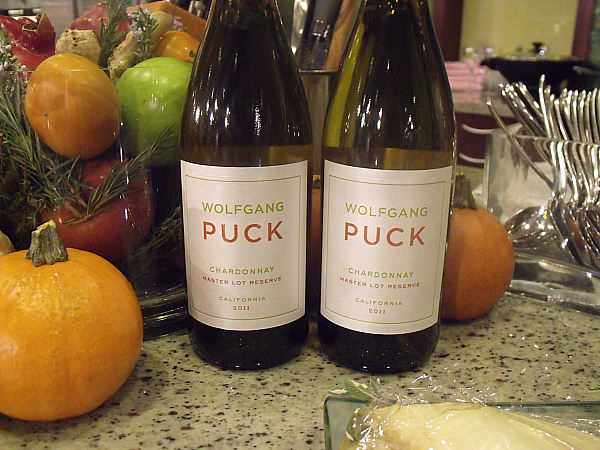 The Wolfgang Puck event was informative and fun! I will, of course, be attending more Macy’s events in the future. 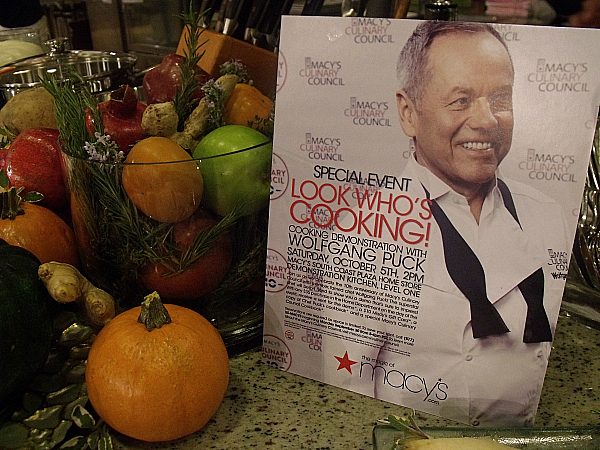 Happy 10th Anniversary to Macy’s Culinary Council!